The chart above is from the Insurance Research Council. 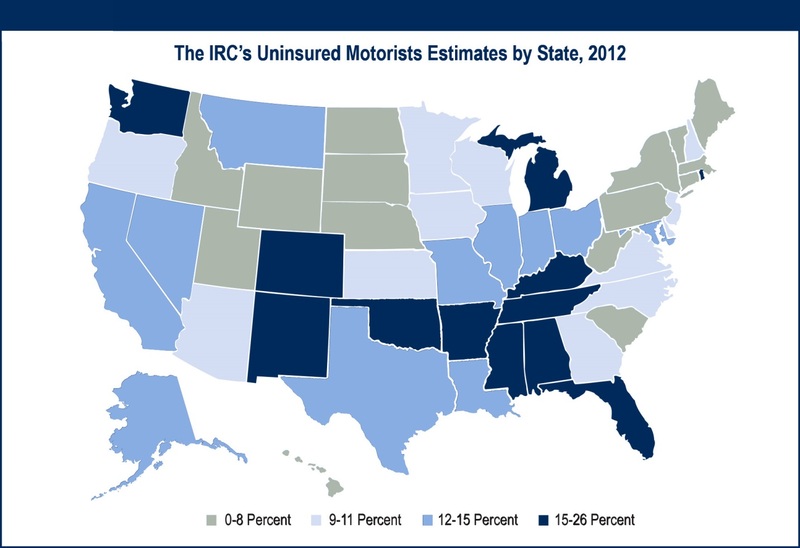 While Massachusetts is in the 0-8% range of uninsured motorists on the roads, neighboring states like New Hampshire (9-11%) and Rhode Island (15-26%) have many more uninsured drivers. Credits! Credits!! Credits!!! Oh My! Everywhere you turn these days you see or hear an advertisement telling you that you can save 10, 20, 30, 40% or more on your insurance! But is this really true? Collision and Comprehensive Coverage: What do I really need? Collision and Comprehensive coverage can be purchased as part of any personal or commercial car insurance policy. You are not "required" to buy either coverage however if you owe money on the vehicle or are leasing it, the lender or leasing company will require that you carry both coverages. You may think that minimum liability coverage is more than enough for you or that high liability limits are only for the rich. The insured's daughter hated math class as well as the teacher. The daughter made several "disparaging" and false remarks about her teacher online. The teacher sued the parents for personal injury in the amount of $1 million. A 28 year-old engineer dove into a friend's above ground swimming pool, struck his head on the bottom, and as a result became a quadriplegic. He sued both the homeowner and the pool manufacturer. The court found the homeowner to be 60 percent responsible and the pool manufacturer to be 40 percent responsible and awarded $10,000,000. There's more to consider than just naming your price when you set out to purchase insurance. It's no secret that harsh winter storms bring high risk when driving on snow or ice covered roads. Or that winters can be brutally cold in Massachusetts. But is your vehicle prepared? Not only do we share the road with fellow drivers, but we share it with our wildlife too. This can be a lethal combination. Further fuelling the accident prone combination is the increasing development of roads and loss of natural habitat that comes with our development. Deer migration and mating season runs from October through December, this causes a dramatic increase in deer movement. The National Highway Traffic Safety Administration estimates there are approximately 1.5 million auto deer collisions per year, resulting in damage losses of around $1.5 billion USD, which works out to an average cost of $1,000 per accident. The Insurance Institute for Highway Safety (IIHS) also noted that deer-vehicle collisions in the U.S. cause about 200 fatalities annually. "Ride sharing" sounds good, but what about your Auto Insurance? The pace of change is dramatic in all facets of society today. People are glued to their smart phones to make calls, check email, Google, Facebook, Twitter, Snapchat, Instagram, ect....businesses are starting up to meet the changing needs of an always “on” society. As the father of two teenagers - one who has her license and another with a learner's permit chomping at the bit to get his - I understand both their excitement and every parent's anxiety for a couple of very good reasons. The first, of course, is the concern all parents have for the safety of their teen drivers, and another is their concern about the cost of insuring a teen driver.